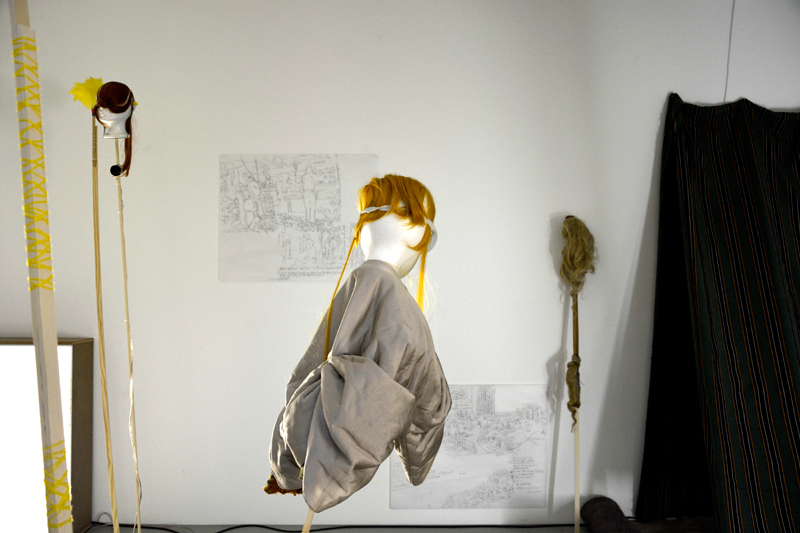 theatercombinat | 25th/26th april 2015 - premiere | 30th april - 2nd may 2015 - installation, donaufestival krems (a). 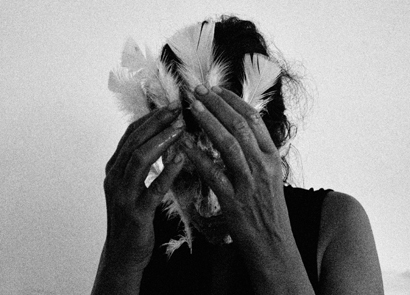 a performance and an installation about rituals and political thought. a workroom. the departure material is a collection of interviews (some democratic fictions), which the artist claudia bosse has conducted in different cities around the world since 2011. it is the voices of people who reflect upon the political situations in which they live, crises, and social upheaval, thoughts about religion and democracy, about lifestyles and concepts of freedom as well as political alternatives. 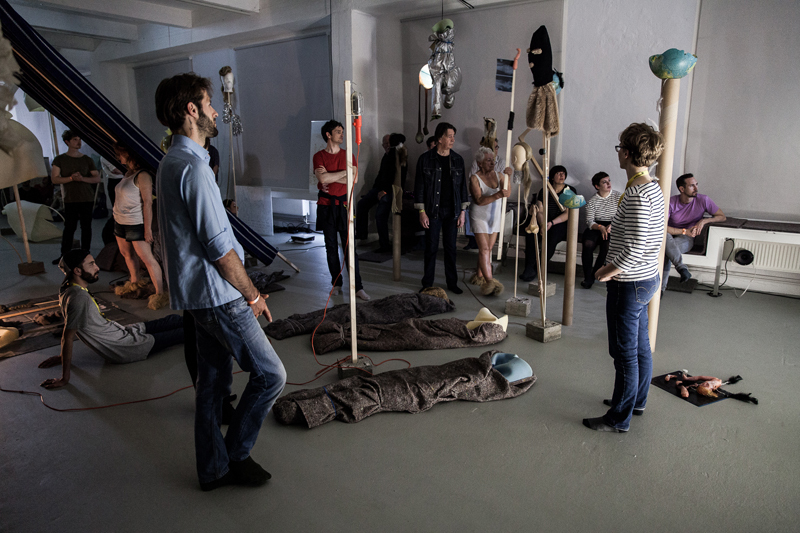 disembodied voices are housed in objects and materials in the installation a first step to IDEAL PARADISE; they bulge out of the various materialities and provoke artistic forms to speak. 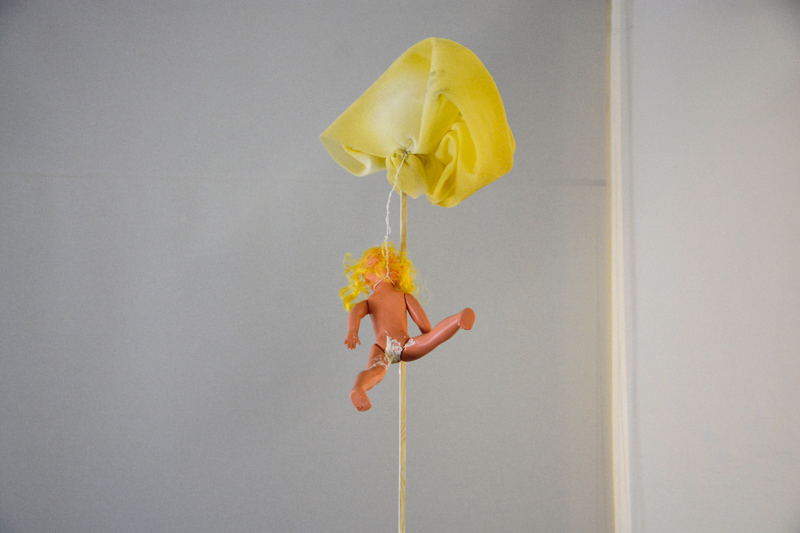 they encounter bodies without speech, the actions and rituals of the performers, and the movements of the observers. 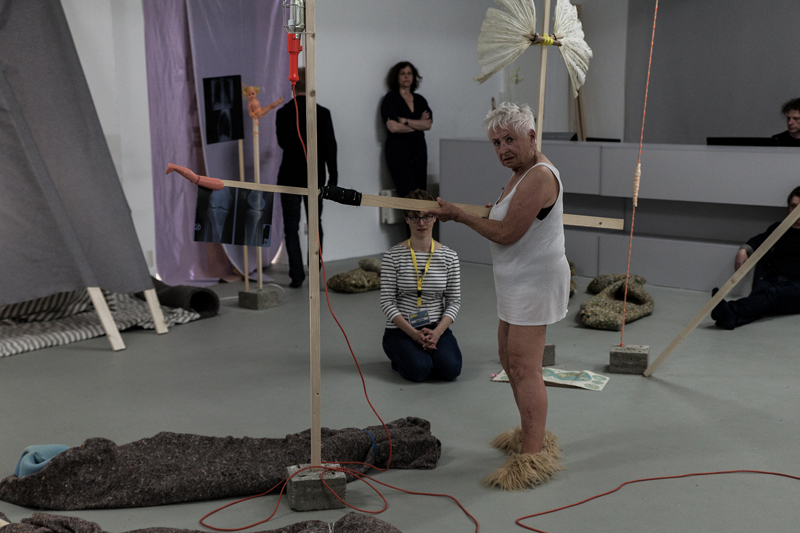 the performers are embedded in the landscape of the installation; they use objects, become a medium in the space, initiate movements, and contrast or augment verbal attempts towards orientation. 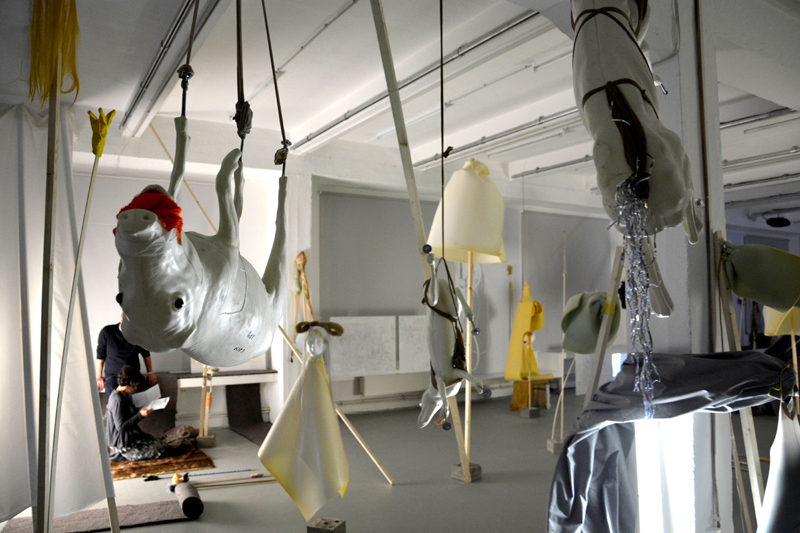 choreographic arrangements emerge in this workroom of mental, ritual, and artistic operations; training for a future society, for a possible community between humans, things, and ideologies – for the ideal paradise. 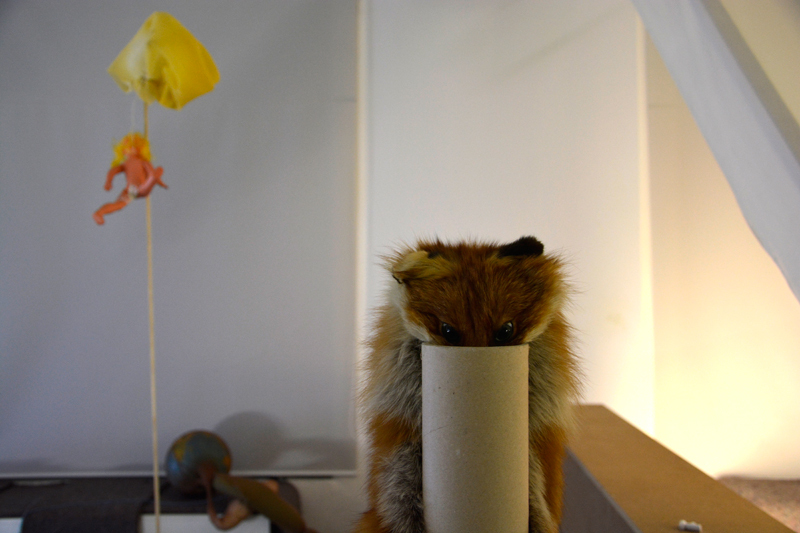 after further preparation of the installation for the following weekend, the observers take over and become the protagonists of the space: voices and objects become activated and perhaps employed in the search for alternative economies, ethics, actions, and orientations. 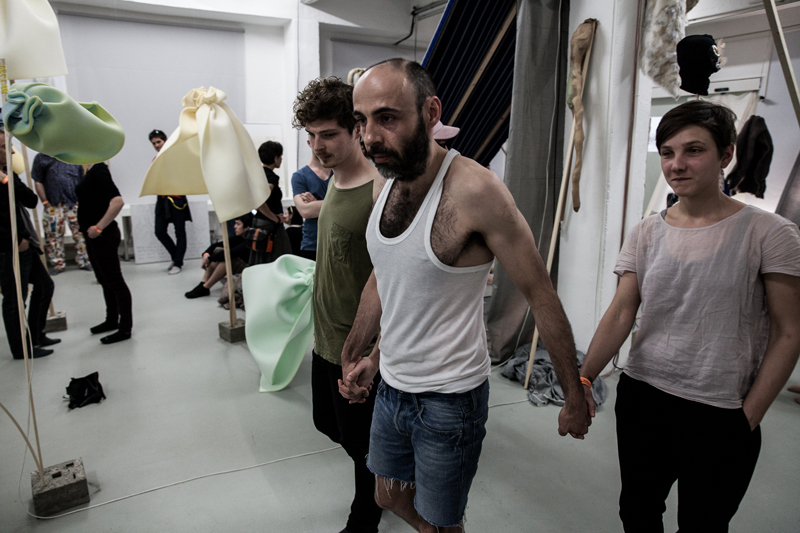 a production by theatercombinat in coproduction with donaufestival. supported by wien kultur. a first step to IDEAL PARADISE is a first working sketch for the new production IDEAL PARADISE and part of the overall project (katastrophen 11/15) ideal paradise, project partners are tanzquartier vienna, FFT dusseldorf, supported by wien kultur, kunststiftung NRW and NPN national performance network in the framework of the series "DECOLONIZE! performative strategies for a (post)colonial age", ashkal alwan, CLUSTER, szenenwechsel (robert bosch stiftung), workspacebrussels. a first step to IDEAL PARADISE is part of the series IDEAL PARADISE, that is the last chapter of the research cycle (katastrophen 11/15) ideal paradise that has started in 2013 dealing with the configuration of the (political) reality and its ideological constructions. (katastrophen 11/15) ideal paradise by claudia bosse and a group of international artists, dancers, performers and theoreticians investigates the structure of catastrophe as a tipping point of society and generates several formats like performances, choreographies, theatre works, installations, interventions, lectures and workshops. 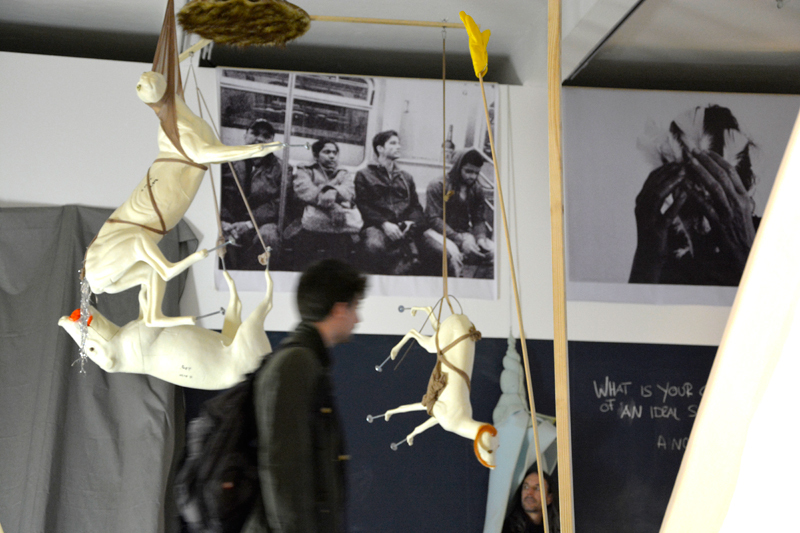 sometimes the collection of interviews, some democratic fictions, that has been emerging in collaboration with günther auer since 2011 and consists of personal conversations about democracy, freedom, terrorism, state, history, identity conducted in cities like new york, tunis, cairo, frankfurt, zagreb, tel aviv, brussels and beirut. 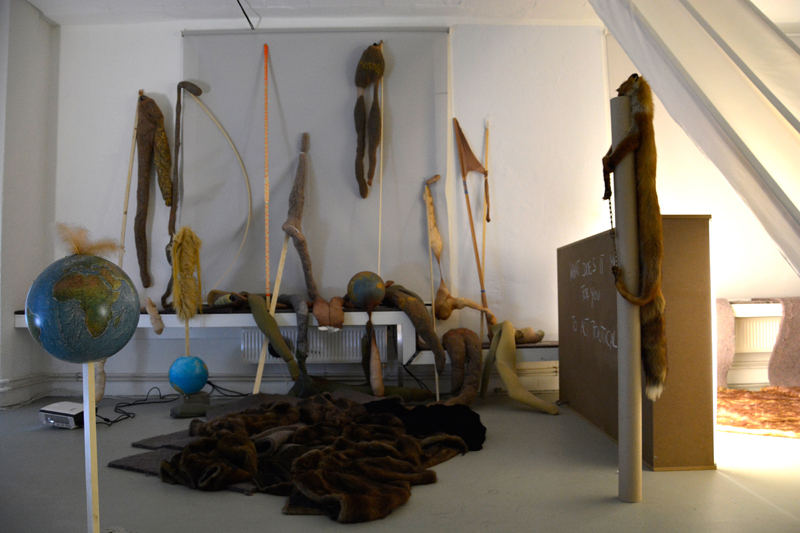 method body / lecture by claudia bosse in the framework of scores "intact bodies". thoughts meet space in may / june 2013 was an installation in 18 different spaces where the interviews were confronted with media scenarios of spelling reality. here, for the first time, the majority of the archive material became part of this artistic operation called “thoughts meet space”, as a virtual space of three-dimensional thought presented in the old customs canteen in vienna accompanied by 2 performances in relation to the installation the breath of thoughts and death as well as closing act as a coproduction with tanzquartier vienna. the installation thoughts meet space beirut in october was a continuation of that artistic method and presents parts of the archive material combined with photos and objects created and collected in beirut as well as interviews. 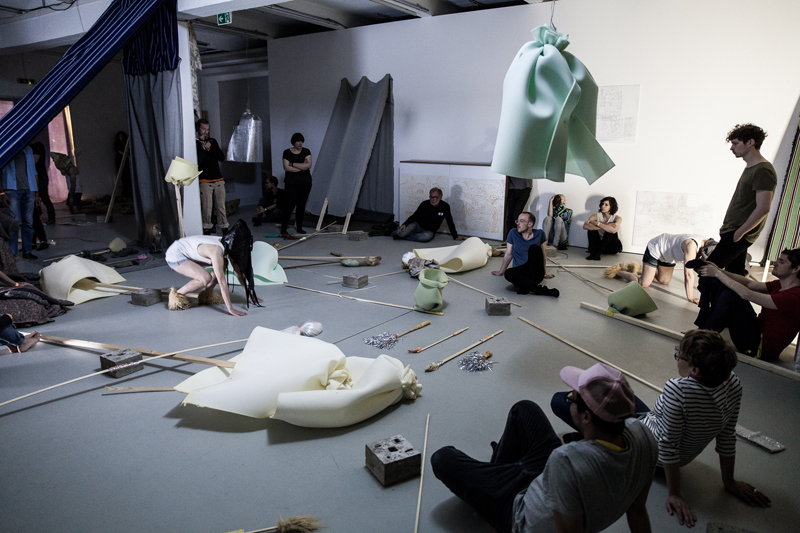 (in)valid bodies, lecture by claudia bosse in november 2013 in the framework of the symposium "public bodies", FFT dusseldorf and heinrich heine university. showing and discussion in december 2013 / the rehearsals of what about catastrophes? 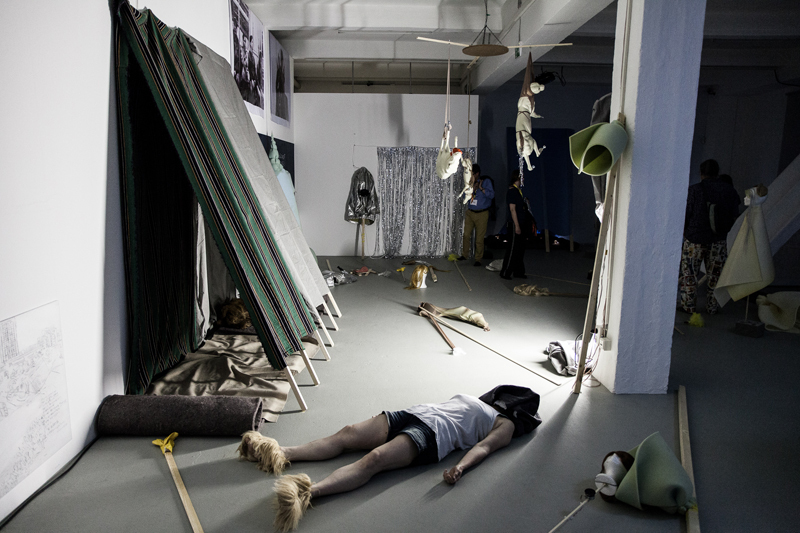 in the framework of the seminary "aesthetic and poetic" - performance theory and -praxis" of the university vienna, monika meister / daniela pillgrab. 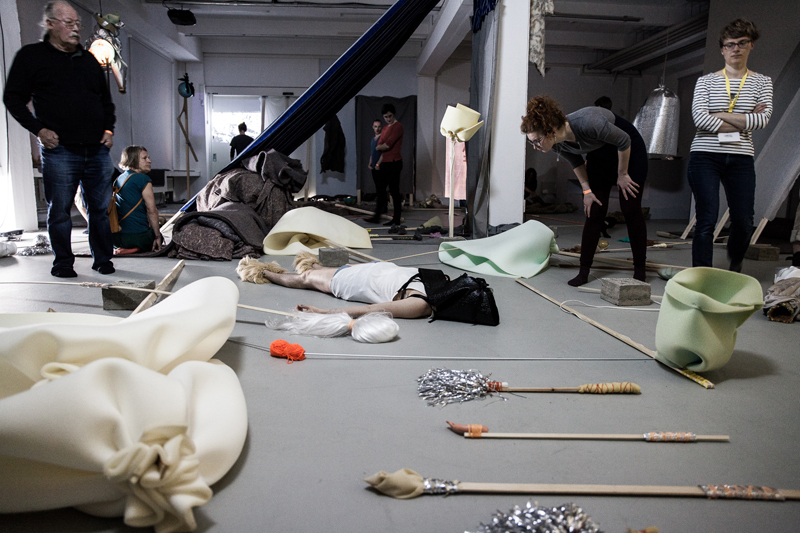 katastrophen: momente des umschlags in december 2013 was a research workshop by claudia bosse at tanzquartier wien. 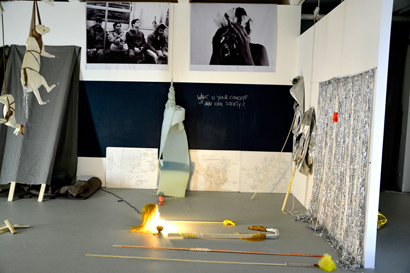 in a one-week working situation a group of artists and theoreticians met in order to concern themselves with the function and structure of catastrophe in our society, based on their respective artistic, compositional, urban or philosophical practice and based on their methods and materials. with guenther auer, claudia bosse, alain franco, omar nagati, sandra noeth and marcus steinweg. in april 2014 was the world premiere of what about catastrophes? with 4 performances at tanzquartier vienna. 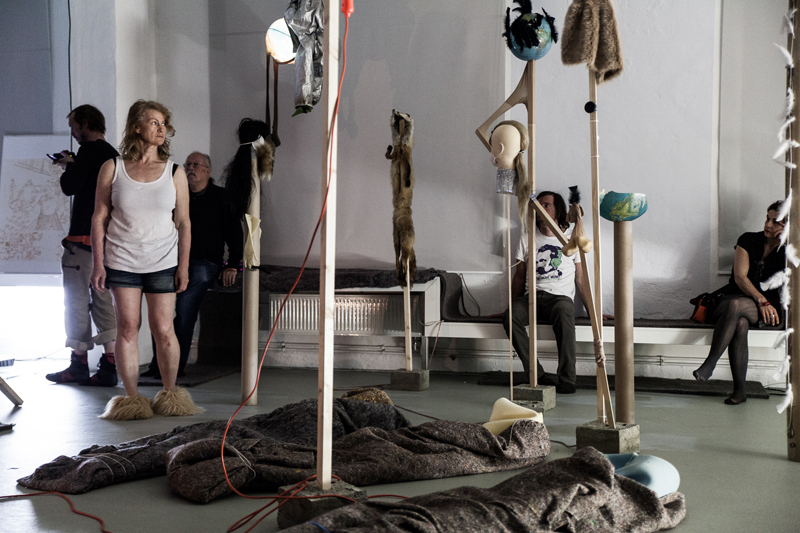 in september 2014 in dusseldorf was the world premiere of catastrophic paradise in coproduction with FFT dusseldorf in the framework of the series "DECOLONIZE! performative strategies for a (post)colonial age". in this context took place the symposium politics of paradise and catastrophes. thoughts meet space athens in october was a site-specific multimedia installation at Bhive in athens, turning the neoclassical villa into a talking house, speaking with voices of the transnational archive of thoughts. 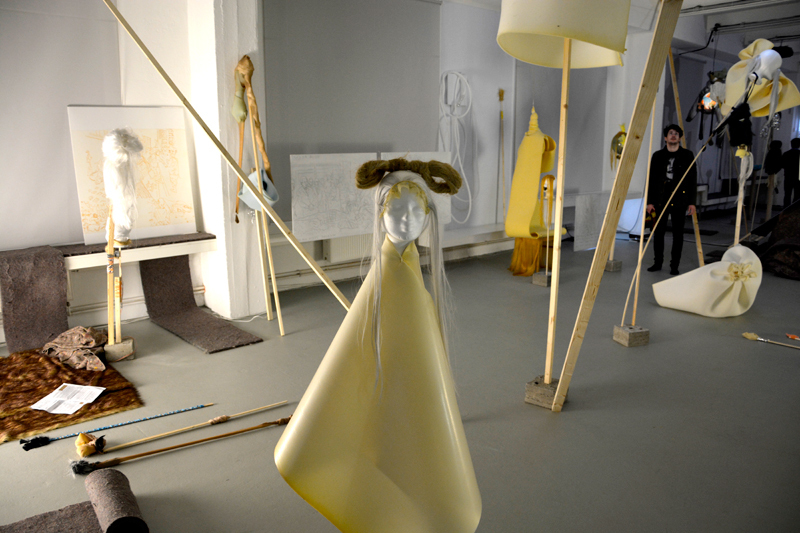 the installation thoughts meet space cairo presented at hotel viennoise the nomadic archive. for the second time interviews had been conducted in cairo after 2011. the installation was accompanied by a 5 day event called reflection zone that functions as a discursive and performative salon with contributions of artists and theoreticians based in cairo. 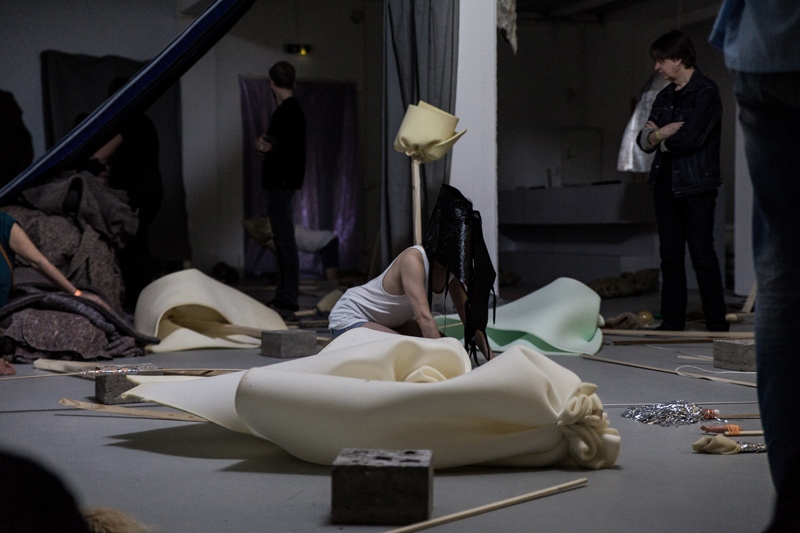 in march 2015 the performance catastrophic paradise was translated from the version for a complex, multi-part building into a version for the specific conditions of tqw / halle G. in april / may 2015, at the donaufestival in krems the performance and installation a first step to IDEAL PARADISE created a workroom about rituals and political thought. this work was the first sketch for the new production IDEAL PARADISE, the last part in the overall project of (katastrophen 11/15) ideal paradise. 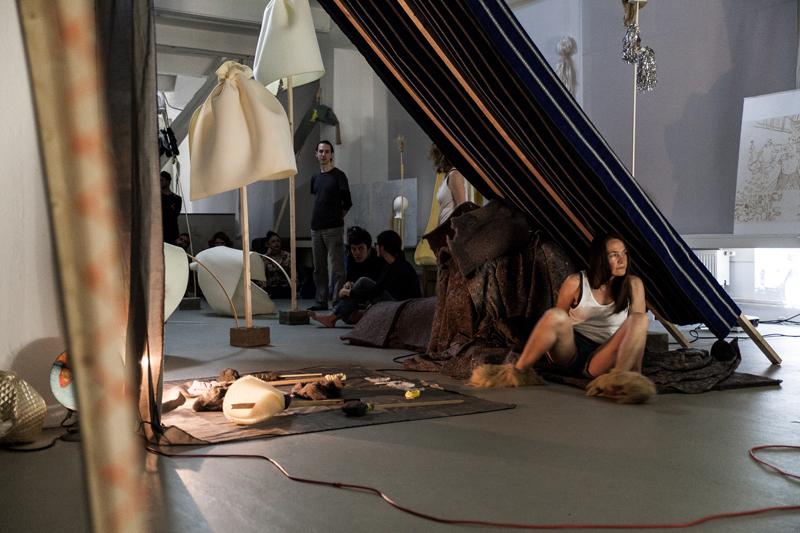 the next step in this series took place at ImPulsTanz festival 2015: alongside the topics colonialism, cultural projection, construction of ideology(ies) and ideal communities the installation a second step to IDEAL PARADISE created walk-in narrations in an ensemble of spaces in the weltmuseum vienna. 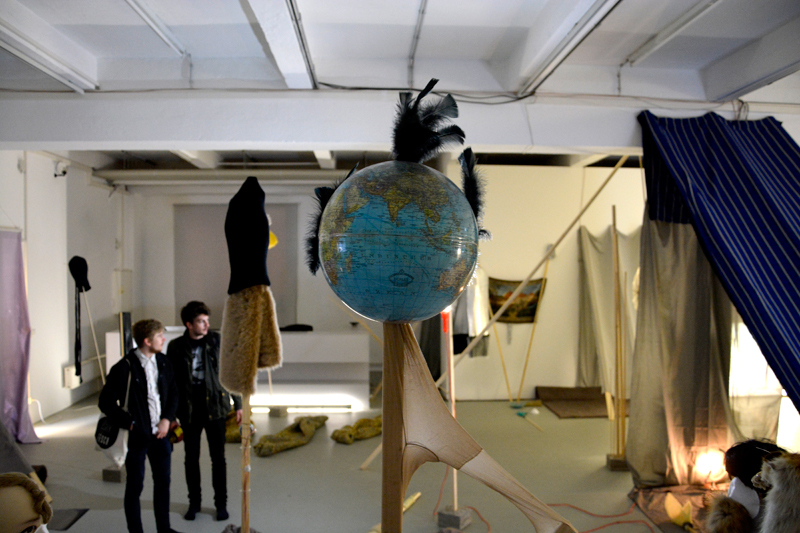 in a third step to IDEAL PARADISE this installation became a score of a choreographed performance. 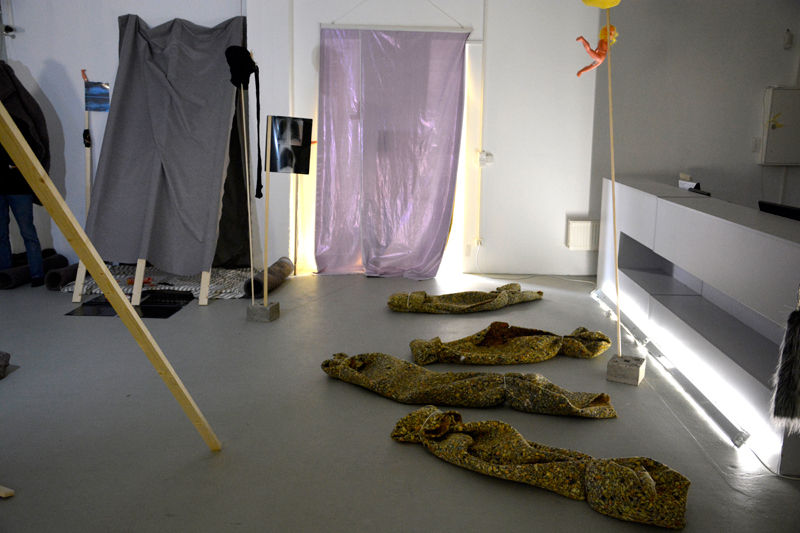 as performative practice urban laboratory IDEAL PARADISE intervened from october until december 2015 in different spaces in vienna and translated the experiences and materials of the former steps of IDEAL PARADISE as methodical intrusions into the city. 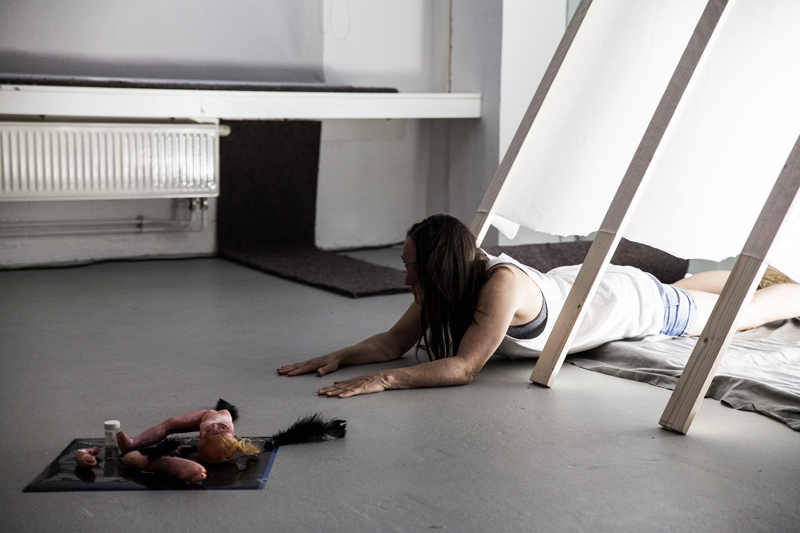 in IDEAL PARADISE clash the absent spaces of the previous interventions and performative installations were interrelated in the theatre space of tanzquartier vienna's halle G through sound-recordings, choreographic compositions and body memories. 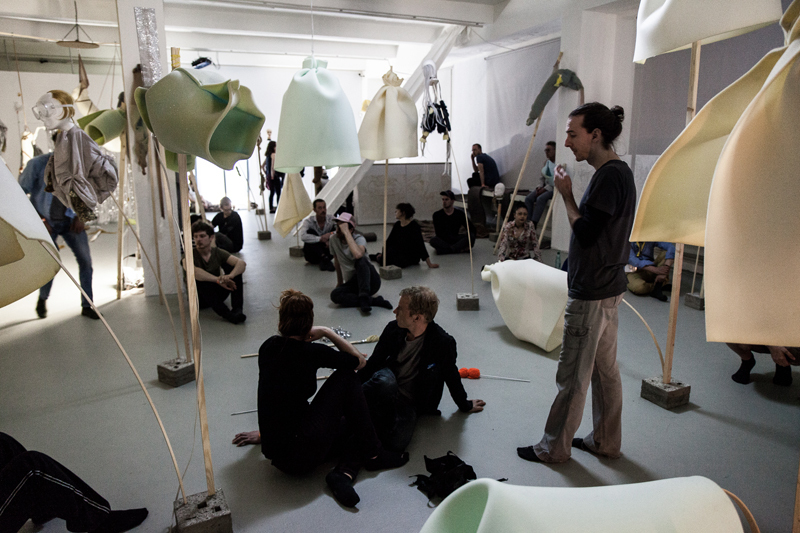 the nomadic urban composition IDEAL PARADISE was spread into the city and played as a choreography of cohabitation and utopian togetherness on different places like a fallow site in the 6th viennese district, the hangar of the second hand shop carla mittersteig, the belvedere and the paths in between. 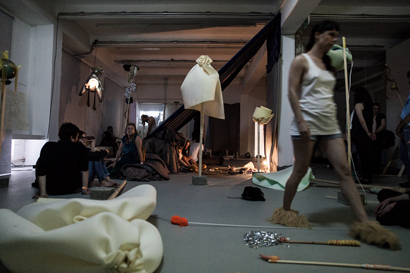 in bucharest IDEAL PARADISE shifting space unfolded an installation that became a performance. 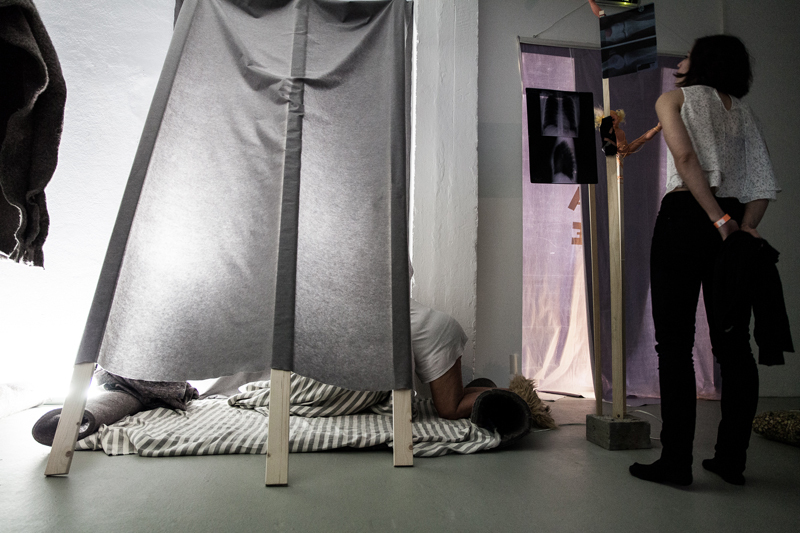 urban laboratory IDEAL PARADISE ukraine is built on the performative practice in vienna and will examine the until 2017 the public space in lviv and kiev, taking into account the architectural, political and legal situation in the ukraine. 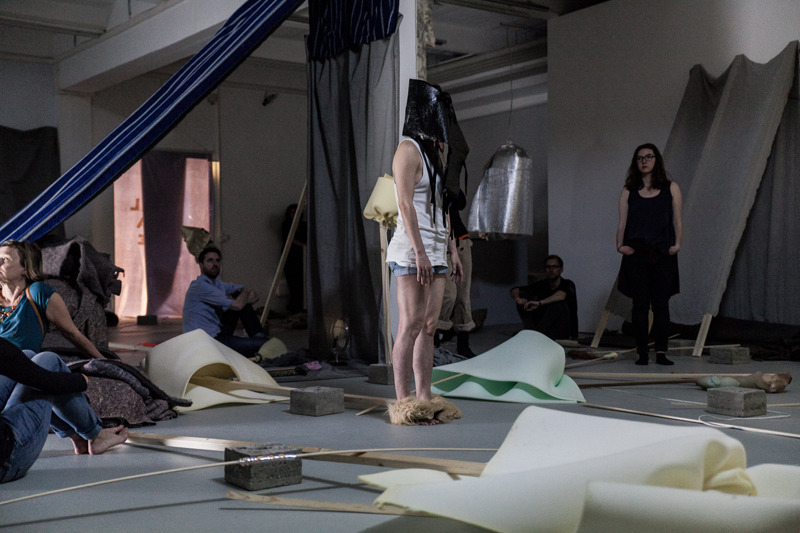 thoughts meet space cairo in vienna was a laboratory and a walk-in installation as a continuation of the same-named installation that was taking place in cairo and was presented at tqw in november 2016 as a research and installation with live performance. as the final project of the cycle the last IDEAL PARADISE brought together the several steps and the material of the rampant series IDEAL PARADISE in the former loading station in dusseldorf.